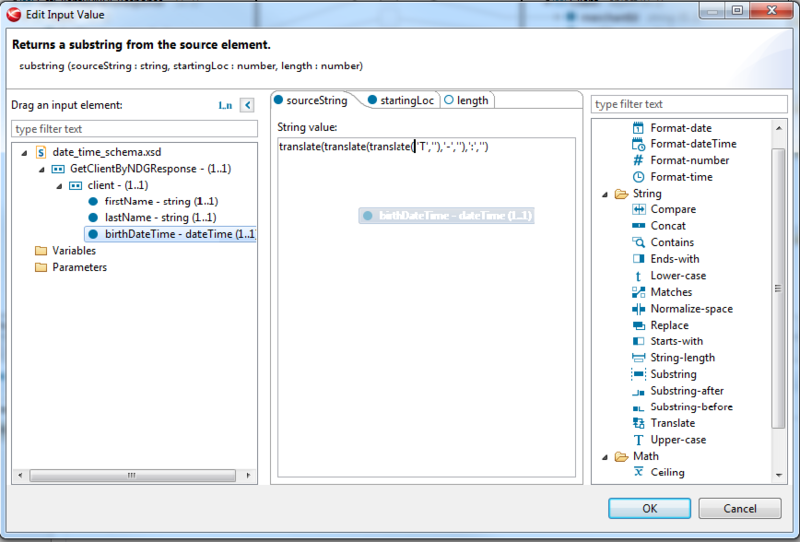 A function parameter can be defined as a complex expression of XSLT functions. This returns the same type as the edited parameter. Select Edit from context menu. 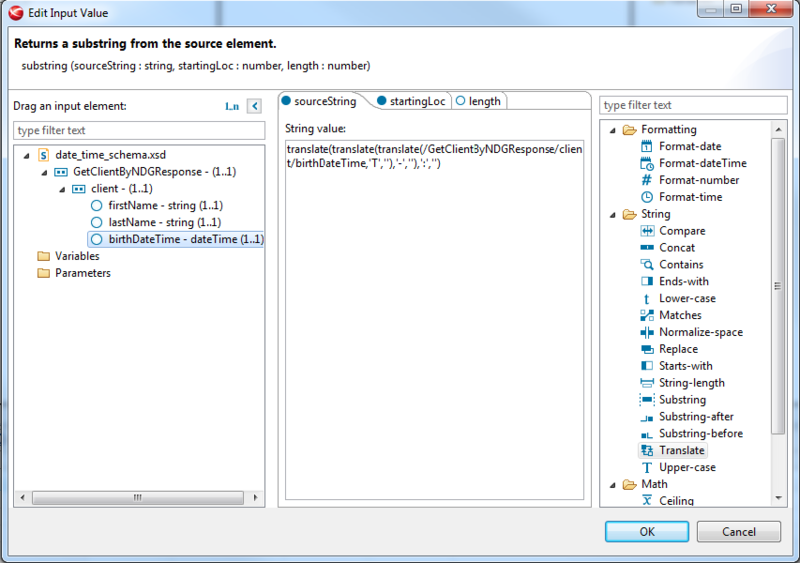 The source schema elements are available in the left panel on the edit function dialog. The functions available in the mapper are listed in the right panel of the function dialog. 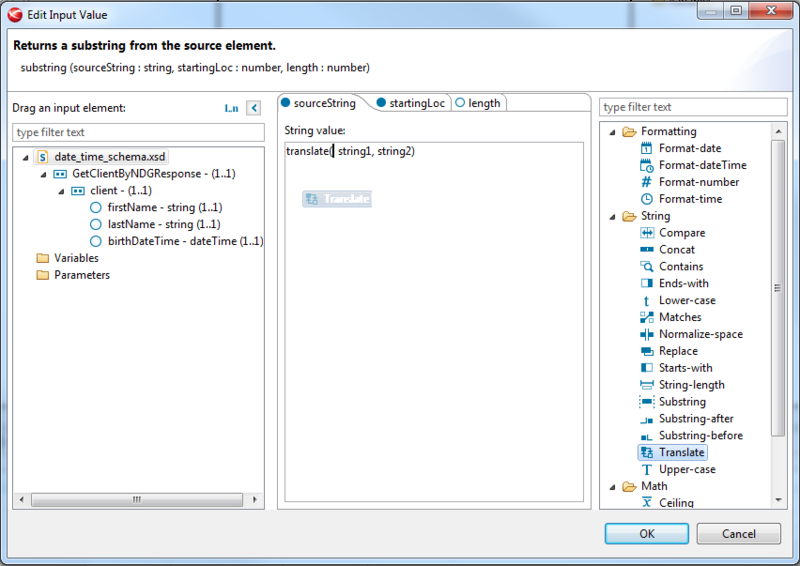 Use either drag and drop, typing or code completion (see below) to insert the element and the functions into the expression configuration area. 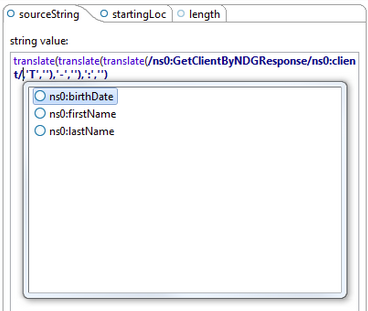 Tip You can use any valid XSLT function, not only the functions from the palette. Code completion is an easy way to use functions that are not in the palette. For example, if you want to transform the string 1937-06-01T10:45:03' into '19370601 you could use: substring(translate(translate(translate($value,'T',''),'-',''),':',''),1,8).